May | 2014 | Franchising You. How long does the agreement last, and what are the terms of renewal? There is no specific time required for a franchise term, and they usually range from five to 20 years. The biggest thing you want to verify is that the term of the agreement is long enough for you to recover your initial investment. Do I have exclusive rights to the area I’m purchasing? There can be many different ways franchise companies divide territories, and territories don’t necessarily have to be exclusive. Make sure you know what you’re getting for your money. What fees will I be charged? Common fees include an initial franchise purchase fee, a renewal fee, a transfer fee, royalties, advertising fees, technology fees, and training fees. In addition, franchisees may be required to use certain vendors at their own expense. Make sure you understand all the fees when making your financial projections. Is the agreement negotiable? If the agreement is negotiable, this is a red flag that you are not dealing with a strong franchise company. You should want the company’s franchise agreement to be uniform because you want your fellow franchisees to be required to operate by the same terms under which you are operating. This ensures the brand in which you are investing retains its quality and grows its value. Uniformity of franchise agreements also gives franchisees more power as a group. Is the agreement one-sided? It is pretty typical for franchise agreements to contain provisions which, on their face, seem unilaterally favorable to the franchisor, such as the ability of the franchisor to make enforceable changes to policies at any time or broad termination clauses. By investing in a franchise, the most valuable asset you are getting is the brand. You do not want all of your hard work into your franchise to be undermined by the actions or inactions of a fellow franchisee. Franchise agreements must be strong to protect that investment. Contracts are essential and the terms are important, but remember that good franchise systems are built on solid relationships. You want to be a part of a proven, successful system with happy franchisees. Talk to existing franchises within the system you are considering before you pull the trigger. 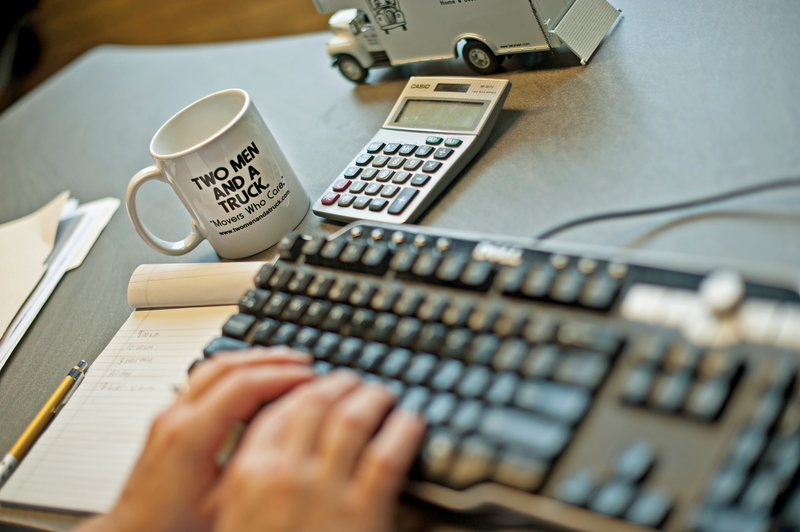 For information on starting your own TWO MEN AND A TRUCK® franchise location and to access performance information which is available to prospective owners click here. Plan, plan, plan. That is what it boils down to during the initial development of a new business venture. You cannot simply dive right in, open doors, and expect it to flourish. At best you’ll be disappointed with initial activity; at worst it will sink. It’s all about the business plan. Creating and implementing a plan will set goals for each aspect of the business and will outline every area and employee who will work to ensure these goals are met. A business plan will position your company for success, plain and simple. It’s time to hit the drawing board. The initial writing of the plan may sound daunting as every single facet within your business will need to be hit upon. It will take extensive research to familiarize yourself with the current market into which you’re stepping. You’ll need to explain in detail what tactics you plan to take in each area of your business in order to align yourself for success. At TWO MEN AND A TRUCK® we understand the fear this can instill, especially for someone coming into a brand new niche. Don’t worry. We have experts within our system who can guide development. Although every business plan is custom to each market and owner, the following sections are must-haves for creating a thriving business. Target audience. It is vital to understand who your target audience is within your business’ service area. When opening a new TWO MEN AND A TRUCK® franchise, our owners research the types of residents within the area to determine if they are college student, single home owners, or families. Understanding the demographic will allow you to implement an effective marketing campaign which will both reach and resonate with the desired target audiences. Competition. Here in the moving industry, we understand all about competition. There are countless moving companies across the nation that promise the best service possible for customers. Learn who you’re competition is and what they offer. This knowledge will equip you with the power to explain to customers that while your competition promises to offer this feature, your business can offer so much more. Marketing strategy. You need to make a name for yourself within your community and let people know how your business benefits the community. Develop an in-depth strategy which will touch on everything from Internet campaigns to local events you plan to support for further promotion. Capital investments. Going into your business with a description of the costs to open the business and where you plan to make your initial spending will ultimately aid in later headaches. You must know what it will cost you to initially open up the business, as well as the amount of continued funding necessary to keep it running for years to come. Goals. What do you hope to see after your business has been open for several months? A year? Ten years? A business plan should outline your goals and what you hope to achieve throughout the development of your business. Now that you’ve developed a beautifully crafted roadmap, it’s time to share it and assign the tasks. One person cannot run a successful, thriving business – meaning that your employees will be key in carrying out your vision for its operation. The employees need to understand your plan for the business and where they fall in contributing to its execution. An organizational chart can be crafted once all of your employees are in place, detailing what areas they will manage and specifically how they will be doing so. If you do not delegate responsibilities and share your desired goals for the business with your employees, they will not understand your direction which might create inconsistencies and inevitable mishaps later. It’s all about the follow-through. You can have the best, most-well versed, exceptionally crafted business plan which will propel your business toward victory; however, if it is not followed and merely put on the shelf to collect dust, the business will be jeopardized. Ensure the business plan is accurately followed. Review the plan quarterly each year to determine that every area has been accounted for and look at it to see if adjustments need to be made. These reviews will determine if areas of the plan need to be altered depending on changes surrounding your business’s location. 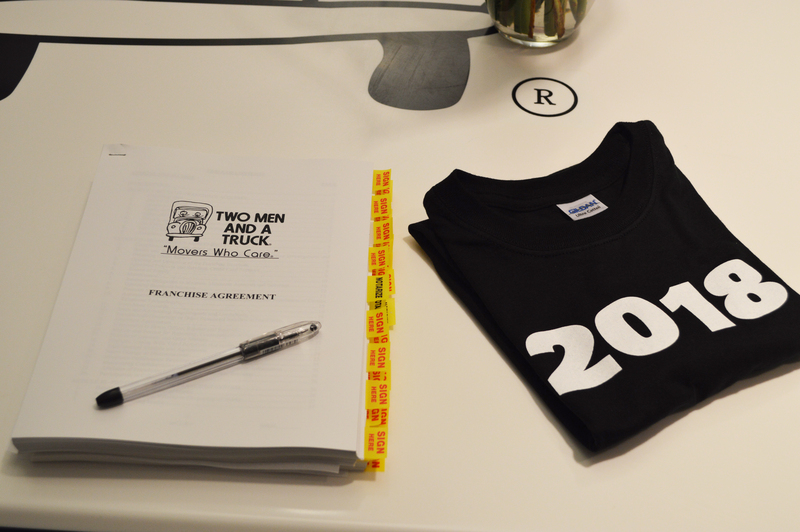 Again, our experts at TWO MEN AND A TRUCK® will be able to assist throughout the entire process, from the plan’s creation, its delegation, and its final execution to ensure your new business will be nothing short of a triumph. For information on starting your own TWO MEN AND A TRUCK® franchise location, and to access performance information which is available to prospective owners, click here. In today’s competitive franchise marketplace, brands frequently struggle to identify true points of differentiation. There are a million self-serve yogurt brands, sandwich concepts, and pizza shops – but even with a wide variety of brand familiarity, one characteristic determines the good from the great– culture. Culture is the true x-factor which prospects should desire. And then everything else. 1) Do I believe in and love the product or service? 2) Is my territory available for growth? 3) Can I make money? 4) Do I appreciate the leadership? Each of these points is equally valuable, yet all are secondary to the cultural fit. When a cultural match is made, the x-factor goes into effect, which can ultimately determine your success. Passion leads to success, and if you believe in the missions, visions, and values of a brand, the rest is as simple as following the proven franchise model in place. Opening a franchise is not as simple as signing a franchise agreement, going through quick training, opening your doors and making money. It is far more complex than that. If you are looking for the get-rich-quick franchising opportunity, search the Internet for unicorns. You are likely to get the same result. The primary reason culture is the x-factor in franchising is because you will need to rely on your belief in the brand come challenging times – and every business owner has them. Even if your franchise surpassed your expectations in your first year, you will still be faced with growing pains, such as the scarcity of great employees to hire when you scale up. However, if you admire the culture of corporate, then you can respect the fact that they have “been there, done that.” By that I mean you have a team of people who completely understand the ups and downs you will experience. When conducting due diligence, sure, you want to hear the challenges faced and negative situations encountered. If you are going into a brand for the right reasons, you are going into it because you want to be at the top – or within the top 10 percent of all franchisees. Thus, talking with others in the system who are model franchisees and most successful, this trumps talking with those people who may be sour or negative. The reality is, in any business – even the best businesses in the world (including whatever is No. 1 in your book) – 30 percent of the system will be challenged. It’s simply the 70/30 rule. The difference between good and great in franchising is culture – but even more so, it’s the people that make up that culture. People write checks. People sell brands. Make sure you relate to those who are paving the way for success for you. The more franchisees who believe in the company, the bigger the crowd that is rallying to support the brand’s goals. The stronger the crowd, the better the core values will be displayed to the consumer. The more the consumer believes in your mission, the more referrals you will get and more money you will make. Great businesses are built around great people. After loving the product or service, knowing the right territory is available, believing you can make money, and trusting the leadership – make sure you believe in the culture. You will be grateful for those people when you need a hand as you journey through the wonderful path of franchising. For information on starting your own TWO MEN AND A TRUCK® franchise location and the performance information available to prospective owners, click here. I have the honor each and every day to wake up to a world where I have an adoring and supportive husband and family, three beautiful children, and an incredible workplace full of talented and kind colleagues. However, sometimes after waking up, the reality of juggling this full life hits me faster than a double shot of espresso (which I put in my travel mug before leaving for work each day!). Furthermore, being in franchise development takes me on frequent travel. While I love the adventure of new places and faces in support of this company’s growth, it means I must say goodbye to the sweet faces at home. No matter where you stand on the working mother debate, we all struggle with finding balance at times between who we are as individuals and as mothers. On this note, I reached out to another working mom and Atlanta, Ga., franchisee in our system, Erin Whitty, to get her perspective on the topic. I was touched by her responses below. 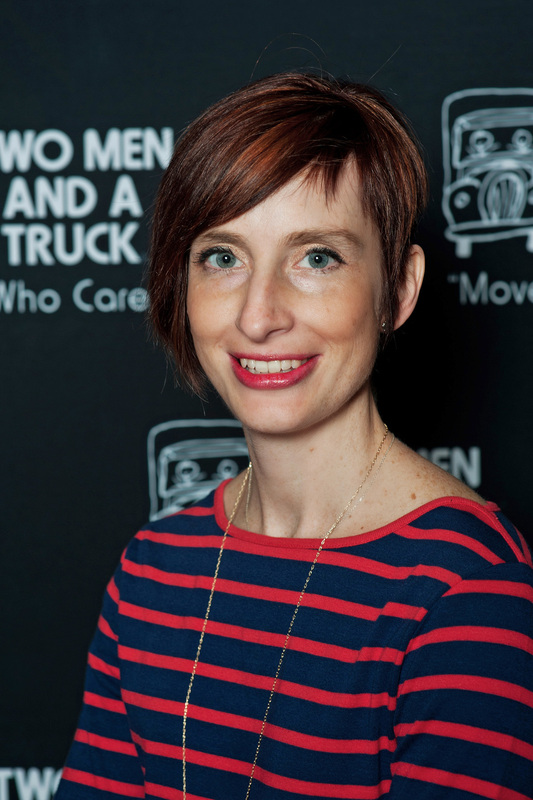 How do you balance being a mother and now owning a growing franchise? All mothers share the responsibility of maintaining balance. Whether you’re balancing kid-time versus spouse-time, spending equal time with multiple children, balancing the oh-so-busy after school schedule, or the never ending balance of work versus home, it’s my opinion that you can only maintain a sense of balance in any of these areas with help from others. If you’re fortunate enough to have a supportive family (like I do! ), we’re talking spouse, parents, etc., they will help you achieve and maintain a sense of balance but you have to empower yourself to ask for their help. It’s the only way I’ve survived “balancing” a growing business and the most important job in the world, being a mother! What do you hope your children learn from you both as a mother and a business woman? One of the gifts of humanity is legacy. Each of us is given the opportunity to influence the lives of the people that we encounter and, most significantly, our children. My hope and dream is that, as a mother and a business woman, I model to my children a spirit of determination and self-discipline balanced by compassion and honesty they will want to imitate. Like Erin, I have an extended support team and a family-friendly work environment, and we somehow manage to make it work. As a result, I get to come to work daily with my team member, Noelle Burak, another hard working mom, to partner with people like Erin in growing our franchise system. I’ll always be their mom first, but I have this other piece of me to offer them, and I can see it is making a positive impact on their development. As a franchisee, how do you really know when you’ve reached success? Is it hitting your first-year goals? Finally reaching your ultimate revenue goal? From a marketing perspective, is it setting and measuring website leads, or, from the point-of-sale perspective, is it your lead-to-sale conversion rate? How do you really know when, and if, you’ve ever achieved ultimate franchise growth and success? Within a franchise system, it’s the best of both worlds. Franchisees are able to run their businesses and, for the most part, decide on what tools they utilize in all aspects, from marketing, HR, finance, and beyond. And then they are able to converse with their peers within the system to find what works best for others and what doesn’t. It’s identifying the tools and tactics which mesh well together and those which continue to measure results, tweaking things along the way, if necessary. 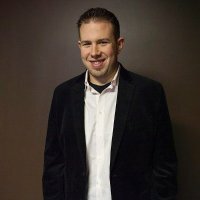 What’s your budget (monthly/annually) and corresponding goals specific to leads. What reports will you use to measure this and determine whether your goals were met or exceeded? Determine what social media channels you’ll deploy. From there, add on how often you’ll post to these. For example, consider posting three times a week versus every day, and even go as far as creating these posts ahead of time so you’re ready to go. What goals can you measure for social? It could be an average number of shares per post, or fan increase. Regardless of these goals, it’s imperative to use available social platform reports to measure whether fans are engaging and if there are additional actions to implement which will improve engagement. Have you thought about what paid advertising you’d like to implement? This would include direct mail postcards, print, billboards, radio, TV, and print and online directories. What works in one marketing area might not work in another. This is where being in a franchise system comes in handy! Having the ability to talk to marketing peers and weigh the pros and cons and best practices of each tactic is incredibly valuable and allows you to do a bit of research before implementing a plan. As with other areas of marketing, if one form of advertising is not yielding vast results, shift that spend to another one that is! These are essential efforts which marketers must employ; executed consistently will get the word out quickly about your business. Grassroots activities can include networking at professional organizations or associations, dropping off promotional materials at apartment complexes/senior communities/real estate offices, participating in community service projects, sponsoring events, etc. Set aside money in your budget to execute grassroots efforts monthly, and have fun with it! Begin thinking about public relations and how to get involved with media in your area. It’s best to gather contacts at all the large media outlets locally — TV, radio, newspapers, magazines, and newsletters – and research their websites to find the appropriate contacts you might reach out to for coverage of your business’ news. Once you have a solid list developed, it’s time to start planning what might be considered newsworthy in your business. A large amount of new hires from your community, a grand opening, revenue goals or growth after a certain number of years, a great story about an employee, think about what YOU would like to read and determine whether it would be worthy to share with the community. It’s also important to stay in tune with what’s happening around town. Read the local news, and become familiar with the reporters and what news stories are out there. Don’t forget, once you have a press release finished, upload to your website (perhaps a special news section) and be sure to promote via social media to get additional reads. The best thing you can do with a press release is promote, promote, promote! Make marketing fun, engage in reports, and make changes when necessary to ensure marketing plans are working to their fullest potential!